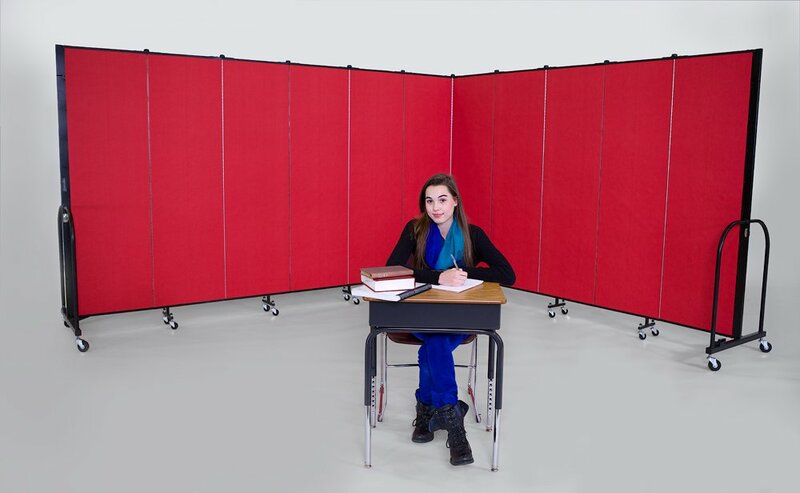 Screenflex Room Dividers are a cost-effective way to create smaller learning environments within the classroom. While no portable wall is 100% sound absorbent, Screenflex Room Dividers absorb/refract up to 65% of the sound, minimizing distractions between the groups. Choose from over 6 heights and 6 lengths and 38 fabric choices to find the best Screenflex Portable Walls that fit your division needs.